The final prelude in this collection, Prelude # 12, ends things with both a tip of the hat to where we began via a traditional interpretation of the prelude’s key signature (for the most part) and the raising of some open-ended questions about form (by way of its rather labyrinthine structure). While this prelude is clearly in the key of d minor, the intervallic structure of the bass line combined with its basic rhythmic structure (which subdivides the eighth note pulse, comprised of 8 eighth notes per 4/8 bar, into three roughly equally spaced accents: on beat 1, on beat 4, and on beat 7) uses a series of diatonic and secondary dominant chords to move between different chords and even tonalities with minimal alteration (often only one note raised or lowered). For example, in bar 1 the arpeggiated d– chord becomes a V of V (voiced as E/G#), which leads us to an a– (functioning as V–). While in bar 2 we begin with a b° functioning as a substitute for V of ♭VII∆ (C) whose outer voices (C in both the bass and the soprano) move in contrary motion to create a suggestion of V7♭9 (A7♭9), which is the dominant of the d– tonic chord we began with. This kind of harmonic motion, i.e., a kind that is driven by voice leading, occurs throughout Prelude # 12. In the process we visit a variety of tonalities, some of which can have d– as their tonic modal chord, and some which are clearly in either different types of minor tonalities (i.e., Dorian, Aeolian, Phrygian, Melodic minor, and even Harmonic minor) or different keys, and some even pass through various Major tonalities that have strong relationships to the minor tonalities that form the tonal center of the piece. Before we examine some of the specific tonalities and discuss what distinguishes one from another, I want to say a few words about Prelude # 12’s form. I referred to it as being “rather labyrinthine” above. And if you play or listen to parts of it out of context it can be hard to tell precisely where you are in its form. This is intentional. The means of counteracting this sense of aimless wandering are three vamp-like phrases, which I’ll refer to as “gyroscopic phrases,” that are strategically placed throughout the prelude. The second “gyroscopic phrase” is not really a vamp. (It is, after all, only one bar long.) It occurs in bar 22. Here the d–6 chord beginning bar 22 functions as a bØ7 (this should come as no surprise to most of you, since these two chords are inversions of each other),which quickly moves to an E7, both over a D pedal, making the first half of bar 22 a II V of V. This gets us to the bass note suggestive of the V chord, but I place a second inversion substitute Dominant V chord (i.e., E♭) over this “A” bass note, and keeping this V pedal for the second half of bar 22, the top three voices move down to create an A7♭9. All of this takes us back to another phrase built on the first two bars of Prelude # 12. In fact, the manner in which this phrase repeats in and out of context, taking us into and out of places we can and cannot anticipate, is the key to why this prelude’s form feels like a labyrinth. These first two “gyroscopic phrases” happen twice (due to the prelude’s Da Capo at the end of bar 32). The third part of the form, designed to help one get their bearings, is the entire coda (bars 33 through 40-41). This section is really an antecedent and consequent phrase comprised of a two-bar question (in d Dorian) and a two-bar answer that reflects the motion of bar 22 in its second bar, i.e., bar 36. These four bars then repeat before concluding on an arpeggiated d–6 chord. I consider the coda to be a marriage of sorts between the first “gyroscopic phrase” (bars 11 through 14) and the second (bar 22), despite the coda’s question (bars 33 and 34 and again in bars 37 and 38) being a fourth higher than its progenitor in bars 11 through 14 (which it mirrors) and its answer getting to the V in a slightly different manner (i.e., all three top voices moving down chromatically in parallel motion in bars 36 and 40). Prelude # 12 begins and ends in d minor. The basic pattern established in the first two bars serves as the prelude’s genome. The first d– chord moves to a secondary dominant chord (E/G#) functioning as V of V, which itself goes to a–. As most of you know, this a– chord contains a C♮ (its minor 3rd), which is the ♭7th of any d minor scale or mode (thus excluding Melodic minor or Harmonic minor as viable interpretations of this tonality). And since the E/G# chord suggests a B♮ even though it is not sounded until the downbeat of bar 2 (where it occurs in the bass), I consider this d minor tonality to be “essentially” Dorian, because these two notes (♭7 and ∆6: in this key C♮ and B♮) are the characteristic tones indicating Dorian. This pattern of establishing a tonality, then either smoothly voice leading away or converting via minimal alteration to create a chord that will lead us someplace outside of the tonality established, is pretty much the harmonic modus operandi for the entire prelude. Notice how the a– chord ending bar 1 has its own relationship to the b° triad that begins bar 2, and how this same b° triad is a substitute for V of the ♭VII∆ chord that follows. Also observe how the minimal alteration of the outer voices of this C∆ chord yields a substitute for A7♭9 (b♭°/C#) that gets us back to the d– chord that begins bar 3. Similar processes continue throughout Prelude # 12. The results are: bar 3 goes from d– to c#°/E to an open 6th suggesting an inversion of d–. Bar 4 mirrors bar 1 a fourth higher in inverted versions of similar chords resulting in: g–6 moving to A/C# to an open 10th suggesting eØ. While bars 5 and 6 use the descending version of the traditional minor scale (aka Aeolian) as a bass line upon which diatonic chords are built that lead us to a root position open voicing of the same secondary dominant chord we first encountered in bar 1, i.e., E. This E becomes G/B (functioning as V of ♭VII again). This C∆ then functions as V of the ♭III chord (F∆) that begins bar 8. This F chord is followed by another G/B taking us to yet another C, followed by a repeat of bar 1 in bar 9. Bar 10 begins with what seems like it would be a mirror of bar 2, but makes a move that establishes the first chord as part of a II V of V (i.e., this first chord is now functioning as bØ7 going to E/G# and then E7 in bar 10, not as G/B going to C as it did in bar 2). The secondary II V in bar 10 is there to get us to one of the gyroscopic phrases that are designed to help us get our bearings. Measures 11 through 14 are a vamp built upon a classic Dorian modal cadence. Notice the ♭7, the ∆6, and the ♮2 characteristic of Dorian within the chords of this vamp. I’m analyzing these tones in the context of A Dorian here because it sounds and feels like we’ve moved to this “key of the moment” for this section; consequently, the g♮ =♭7, the f# = ∆6, and the e♮ = ♮2. This A Dorian vamp leads us smoothly back to a repeat of bars 1 through 4 in bars 15 through 18. And while bar 19 starts out like bar 5, the chromatically descending bass line leads us to a II V in bar 21 that sets up the one-bar gyroscopic phrase designed to help us get our bearings again in bar 22. All of this leads us to another pass at our primary thematic material, at least for the next two bars (i.e., bars 23 and 24), which again mirror bars 1 and 2. Bar 25 starts out as D Phrygian (due to this mode’s characteristic ♭2, which in this key is E♭) but adds a C#, making these consecutively descending tritones suggest the Lydian flat seven scale (i.e., in this case Bb Melodic minor from the fourth degree) or an Eb7b5 chord. We continue by employing many of the same chords previously used though in different inversions, before using a version of an E♭7#11 functioning as a sub V of I– for the recap/Da Capo (bar 32). We then repeat measures 1 through 22 before taking the coda, which brings us to the last of the “gyroscopic” vamp-like sections intended to help us locate ourselves within the form of Prelude # 12. Since I described what occurs in the coda in a previous paragraph (paragraph 7), I’ll avoid any more redundancy here and only point out that the last chord: the d–6, is voiced (and consequently fingered) to take advantage of the open “B” string so that this root position chord can be played in closed position . . . on the guitar. It is my sincere hope that these guitar tips have offered a bit of insight into the content and form of the twelve preludes in this collection, and that they will help the player find their own way into the music, which is the prime motivation for all of this. If that results in performers and audience alike finding as much joy in these preludes as I found in creating them, my job will be successfully fulfilled. I wish all my fellow musicians joy, adventure, and success in their own journey of discovery. Just like chords, all scales have unique intervallic structures that are characteristic of their sound. In fact, this is how we recognize them, whether we know it or not. Every Major tonality has three diatonic Major triads (I∆, IV∆, and V∆), three diatonic minor triads (II–, III–­, and VI­–), and one diminished triad (VII°). Similarly, there are three Major modes corresponding to the three Major triads (Ionian, Lydian, and Mixolydian), three minor modes corresponding to the three minor triads (Dorian, Phrygian, and Aeolian), and the one mode that corresponds to the triad or chord built on the 7th degree. This mode is called the Locrian mode and, like its corresponding diatonic chord, is unique, as it’s a one of a kind (at least diatonically within all Major tonalities), meaning there is only one per Major key, so confusing its harmonic function (within such contexts) is unlikely. 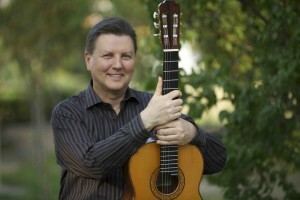 On page 18 of my book Jazz and the Classical Guitar: Theory and Application, you will find an intervallic comparison of all the modes, and on page 47 you will find an intervallic comparison of all minor scales and modes (including Dorian, Phrygian, Aeolian, Melodic minor, and Harmonic minor). The primary difference between recognizing and understanding modes and scales from the point of view of the tonality from which they are derived (i.e., diatonically) versus an intervallic comparison is that in an intervallic comparison it is easier to see where the characteristic notes within similar tonalities differ one from another. For example, using a Major scale as the standard model for all comparisons, the notes would be numbered 1, 2, 3, 4, 5, 6, 7, 8. The other two Majors would also all have a Major 3rd degree. Consequently, Lydian would be represented 1, 2, 3, #4, 5, 6, 7, 8, while Mixolydian would be represented 1, 2, 3, 4, 5, 6, ♭7, 8. Conversely, the three minor modes would all have a minor 3rd in keeping with the fact that they are minor modes and correspond to the three minor 7th chords or minor triads built on the same degrees within any diatonic tonality (i.e., scale degrees II, III and VI). So the numerical representation for the three minor modes in this direct intervallic comparison would be: Dorian = 1, 2, ♭3, 4, 5, 6, ♭7, 8; Phrygian = 1, ♭2, ♭3, 4, 5, ♭6, ♭7, 8; and Aeolian = 1, 2, ♭3, 4, 5, ♭6, ♭7, 8. I hope by now you are starting to get the picture, which is: once you hear whether a tonality or chord is Major or minor, you have to decide which kind of Major or minor it is. The way you do that for Major is to listen for what kind of 4th and what kind of 7th degree is occurring somewhere in the music you’re trying to decipher. For example, if a basic chord is C Major, you look for F♮ versus F# to determine the difference between Ionian and Lydian. On the other hand, you look for B♭ versus B♮ to determine the difference between Mixolydian and Ionian. (For those confused about it, let me point out that Ionian is the same as our basic Major scale). Since many of these differences, especially in minor, can be too dissonant to use as an available tension on a chord, they will only occur melodically in passing or harmonically in an adjacent chord. In fact, the key to successfully creating modal dominant cadences comes from precisely this fact. That leaves us with two other minor tonalities: Melodic minor is essentially a minor tetrachord combined with a Major tetrachord, resulting in a minor scale with ♮2, ∆6, and ∆7, while Harmonic minor will have ♮2, ♭6, and ∆7. The distance between this ♭6 and ∆7, which is an interval of an +2nd, gives Harmonic minor its characteristic Middle Eastern sound. You may have noticed that I haven’t spent much time on the triad built on the 7th degree and its corresponding Locrian mode. This is because, while in triad form it is diminished, once you diatonically extend this triad up to the next chord tone, it does not become a diminished 7th chord, rather, it becomes –7♭5 (aka half diminished). In any event, whenever you encounter any –7♭5 chord in a context that does not suggest ♮9 (where it would indicate it is functioning as VI in a Melodic minor tonality), its tonality is Locrian. 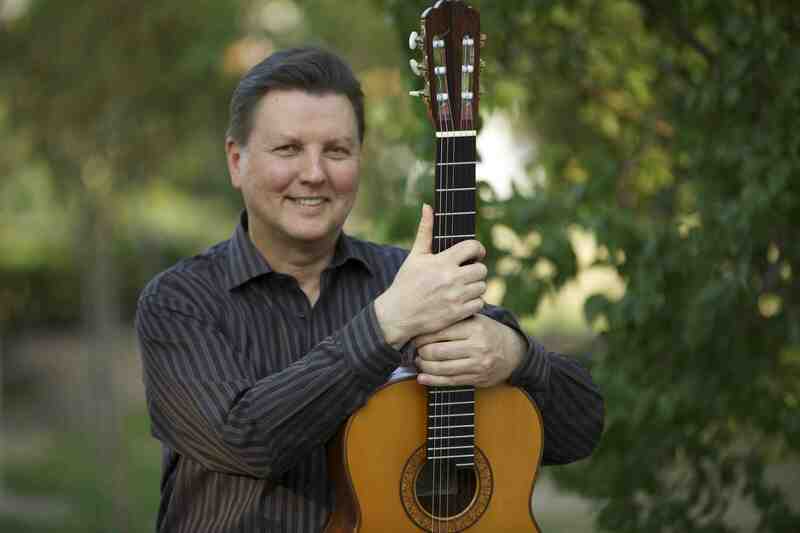 For more information about all of this, please check out my book Jazz and the Classical Guitar: Theory and Application.